This system is seen as the key for a mystery starting in 3301 with the discovery of unknown artefacts that point to this system. 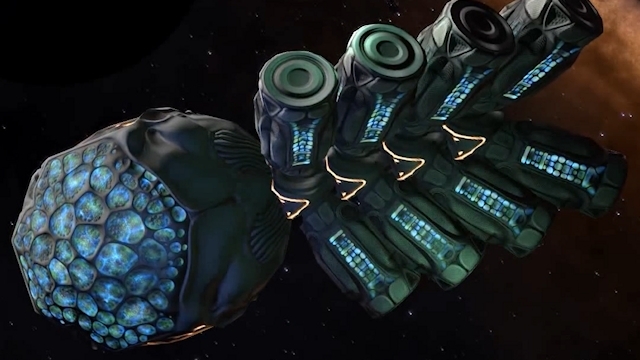 The first of an alien species known as 'barnacles' was discovered on Merope 5 c in 3302. 10548 ships passed through Merope space, including 65 ships in the last 7 days. 7 ships passed through Merope space in the last 24 hours. Starting in March 3301, independent pilots began to encounter Unknown Artifacts in space. These appeared to be of an alien and almost organic origin and this raised the interest of the galactic scientific community. Research revealed that these unknown artifacts where pointing towards the system of Merope, and that they where in fact to be found in a shell with a radius of approximately 150 LY around this system. This is also the approximate area of space where unknown alien ships has appeared to pull pilots out of hyperspace. Interest in Merope was renewed with the discovery of a network of Unknown Structures that also appears to form a shell-like structure around Merope. 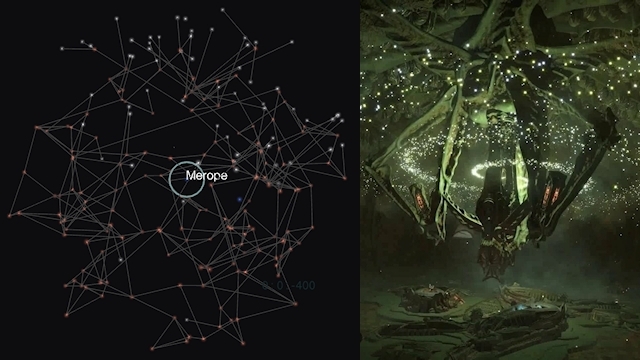 This interest has only increased with the revelation that both the unknown artifacts, ships, and structures may all be of Thargoid origin. But to this day it is still a mystery how Merope itself fits into the bigger picture.